Backyard Leisure of Terre Haute, Indiana and Thursday Pools teamed up on Friday September 21 and 22 at the Vigo County Fairgrounds. The Pool and Spa Sale was a slam-dunk during the two-day event. Many people interested in a swimming pool from around Central Indiana and Illinois showed up to learn and look at the beautiful pool models offered by Thursday Pools. Earl Michels ,Owner, and his team at Backyard Leisure along with Gene and Kathy Foster and Ed Vondell answered questions, gave cost estimates and educated people about the advantages of one-piece fiberglass pools. 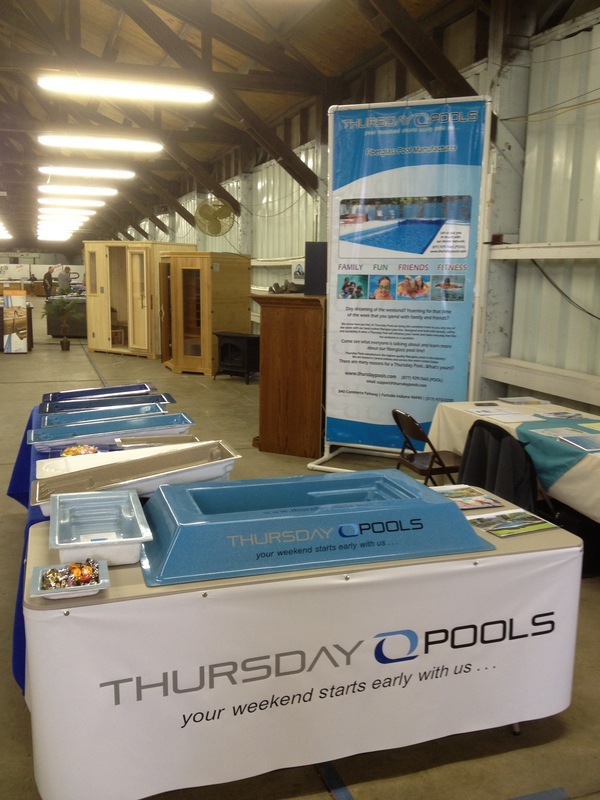 This event not only generated leads, educated customers, and provided budgetary quotes but it also help build our relationship with a valued Thursday Pool dealer. Gene Foster, Sales Director, said, “we strive to make our Thursday Pool dealers successful, giving them support at local sales events is one small way we help”. Ed Vondell, Co-Owner, was very pleased with the quality of potential customers and the professionalism of the Backyard Leisure staff. “They did a wonderful job of explaining their process and set up dates to survey the potential customers yards in order to refine the quote”. This is one example of Thursday Pools commitment to our dealers. We look forward to spring and working with Backyard Leisure at their next Pool and Spa show.